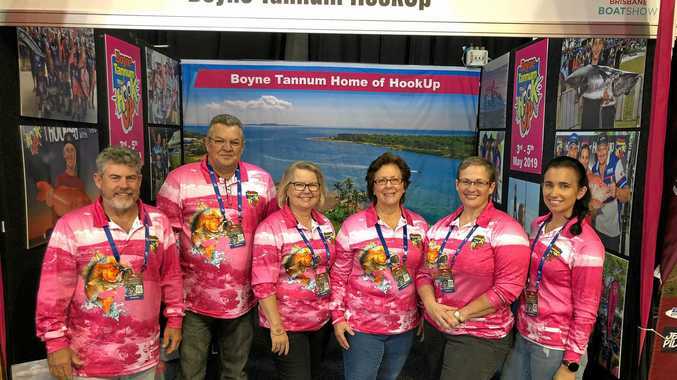 CATCHING and riding the southeast Queensland market wave was the main objective for members of the Boyne Tannum HookUp committee who attended the Brisbane Boat Show last weekend. The three-day event at the Brisbane Convention & Exhibition Centre is one of Australia's leading boat shows and the HookUp crew were on hand, decked out in their customary pink, to educate anglers about the annual fishing competition. It also provided an opportunity to highlight HookUp's position as Australia's biggest family fishing competition while also promoting tourism in the region. More than 50 exhibit stalls and product demonstrations were on display, with the HookUp stall a head-turner according to committee member Lyndal Hansen. "We had a beautiful backdrop done of the mouth of the Boyne River which was spectacular and people stopped to look and asked 'where's that? '," she said. "Many people recognised it and stopped to chat so it was a really good attraction piece." Ms Hansen said the response from people visiting the HookUp stall was very positive, justifying the current committee's decision to attend the event for the first time. 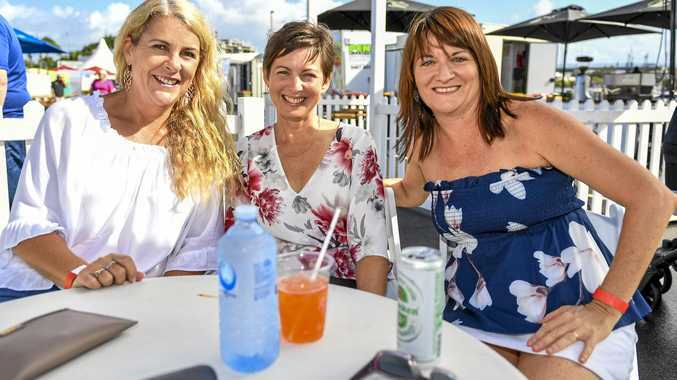 "This was our target group all in one spot and with the Brisbane Boat Show as big as it is and the amount of people who attend it, it seemed like very good value for money to attend," she said. "By the end of it all the exhibitors and boat brands knew who we were so not only are you looking at your primary target, but also looking at potential primary partners in the future."